When we lived in London, Boyfriend and I went to a party with a whole bunch of international students who were in his program. It was a potluck party, and each person was supposed to bring a food from their home place. 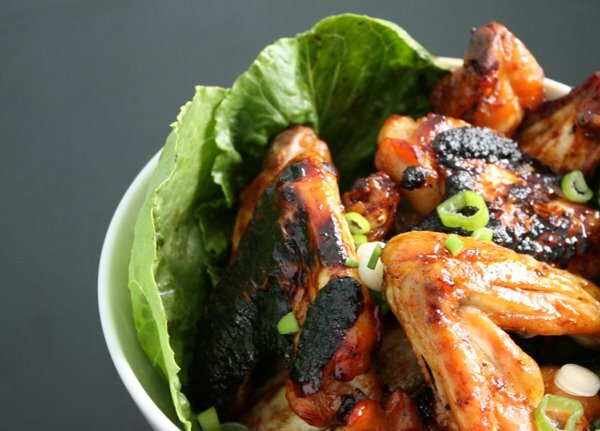 I thought we Americans might be at a loss for a good American idea, but Boyfriend suggested we bring chicken wings, which, by the way, is a huge hit among poor college students who don't themselves tend to bring meat to a pot luck. P.S. In the U.K., chicken wings are cheap as dirt. Take equal parts soy sauce and brown sugar. Turn on broiler, and set rack or pan to middle or lower rungs. 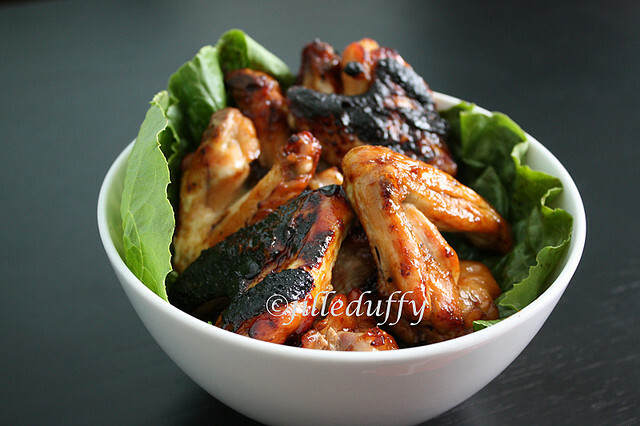 When the broiler is hot, pop the wings onto the broiler pan, still on the foil, and cook for 8 to 12 minutes on each side. Because of the high sugar content, they burn easily and quickly, so keep an eye on them. Serve on some pretty romaine leaves.